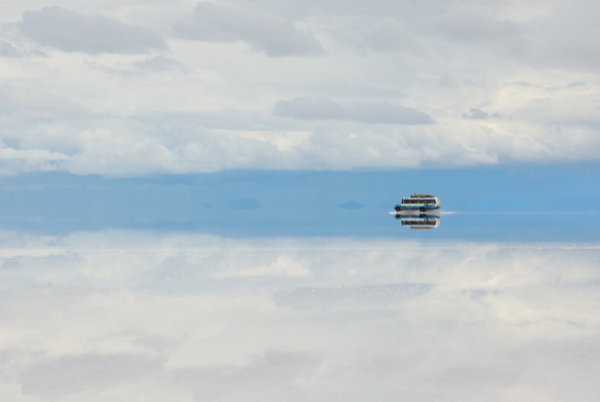 A visit to Bolivia’s famous salt flats in Salar de Uyuni is a once-in-a-lifetime event. It all starts with one of the most painful bus rides on Earth but gets better very quickly with stunning lunar landscapes and possibly the quirkiest travel photos you’ll ever have the chance to take. 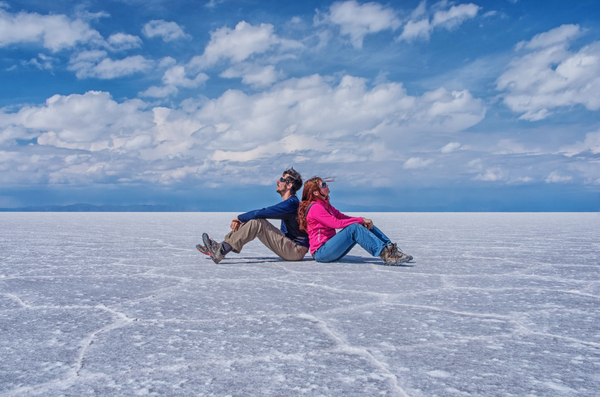 However, most travelers only schedule a few days in Salar de Uyuni, so it helps to come prepared with a few tips from previous visitors to make the most of your time there. 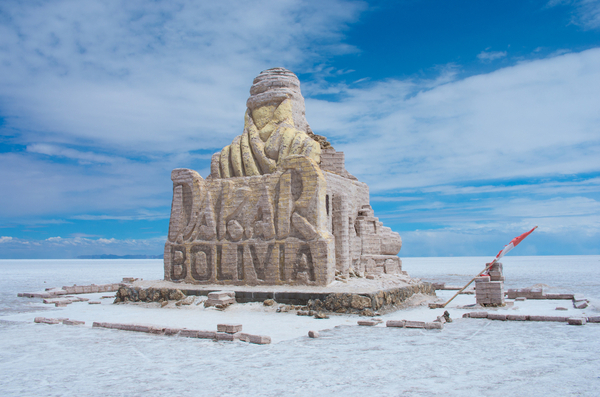 My goodness… be prepared for a bumpy bus ride from La Paz to Uyuni. It’s an 11-hour ride over deeply corrugated road at relatively high speed. Even if you manage to sleep through the bumps, you’ll also have to sleep through inhaling mountains of dust that enter the cabin through windows that barely keep holding. As crazy as it sounds, it really is quite an experience. The Tip? Don’t do the bus trip twice. After the flats, get the train to Villazon if you’re heading to Argentina, or to Oruro if you’re heading back to La Paz. It’s relatively cheap ($20) and almost affords real sleep. Also, when you’re choosing the initial bus from La Paz to Uyuni, you have the option of the local or tourist bus. Don’t be fooled into thinking the tourist bus, at twice the price, will provide any type of sleep. It does have heat, and even though it only worked for a little while, it was almost worth the extra fee. Before you regain consciousness from the previous 11 shaky hours, tour operators will be grabbing and prodding you, trying to sell you their tours. Don’t let them take you for a ride (figuratively and literally) in your most vulnerable state; walk to the main square and grab a coffee before making a decision. The bus arrives before 8 am and the tours leave after 10:30, which is plenty of time to decide. Also, don’t book the tours in La Paz because they often charge more than twice as much; wait until you get there. More than anything, you’ll want to join a group that can speak a common language. Normally this isn’t a requirement for us (if anything we prefer the opposite), but for the Salt Flat tours, just trust me that it’s not the time for sign language and dictionaries. Of course, our tour operator blatantly lied about the people in our group and we found it very difficult to communicate (with mostly Spanish speakers), which was a bit of a shame, especially when taking photos. Most reputable operators will show you their booking roll beforehand, which we discovered afterward. 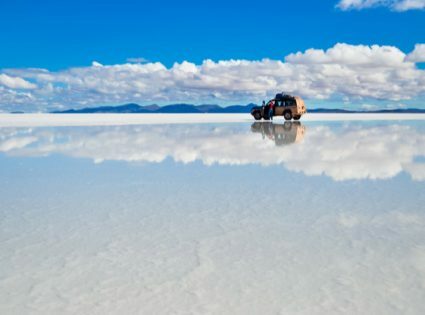 The long flat plains of Salar de Uyuni make tricky perspective photography possible. You’re given a couple of hours to play around, but most of that time is used up quickly with trial and error. So here are a few tips to maximize your time. 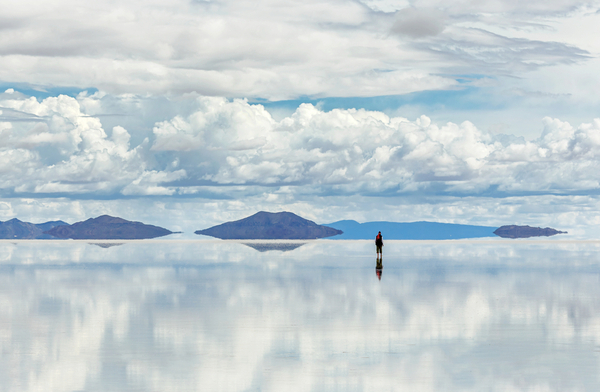 All in all, Salar de Uyuni is unlike any place on Earth. But we found it really does pay to come armed with advice from previous visitors. In summary, bring some funky props (toy dinosaurs are a hoot), join a tour with people who speak your language, keep your guard up with the touts, and you’ll have the time of your life.